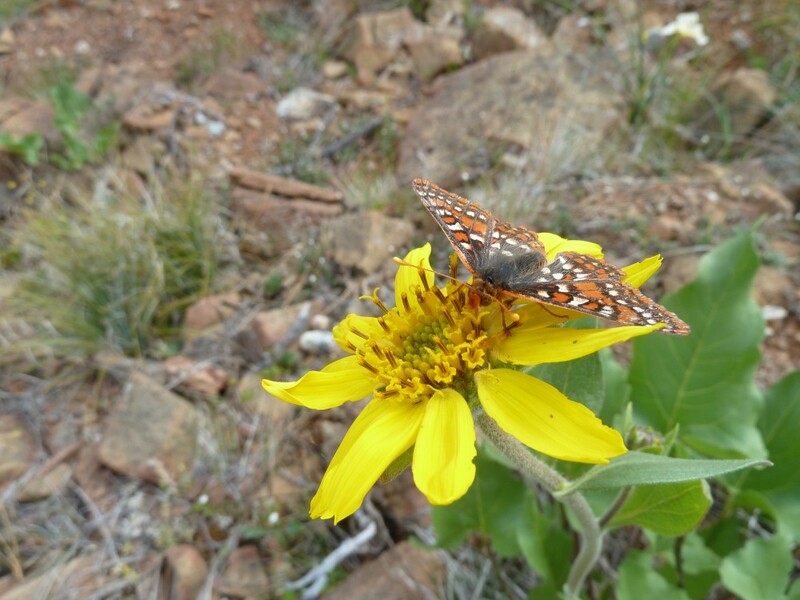 Summer is just around the corner, but some of our native sunflowers are already in bloom! Many plants in the Asteracea (Sunflower family) are commonly referred to as sunflowers, especially those with showy, round, yellow flower heads that look like the sun. 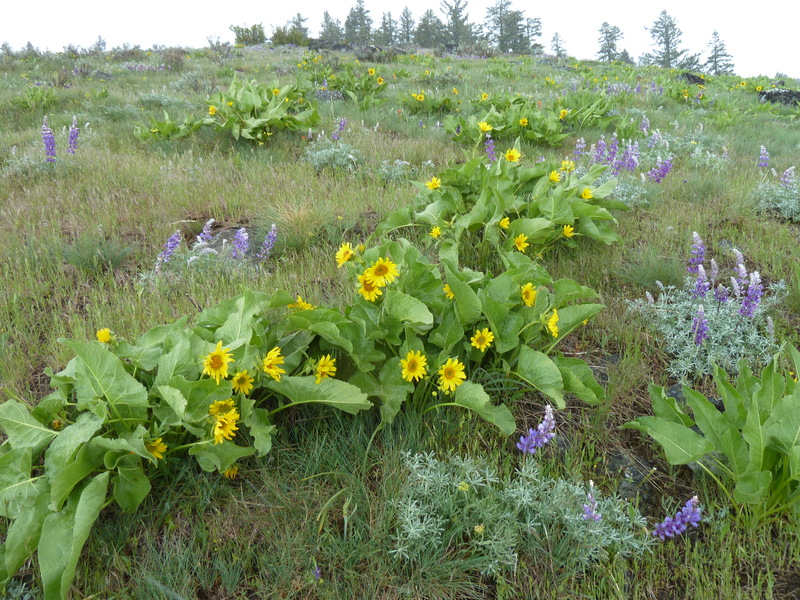 Below we will feature some Klamath-Siskiyou native plants belonging to the sunflower family. 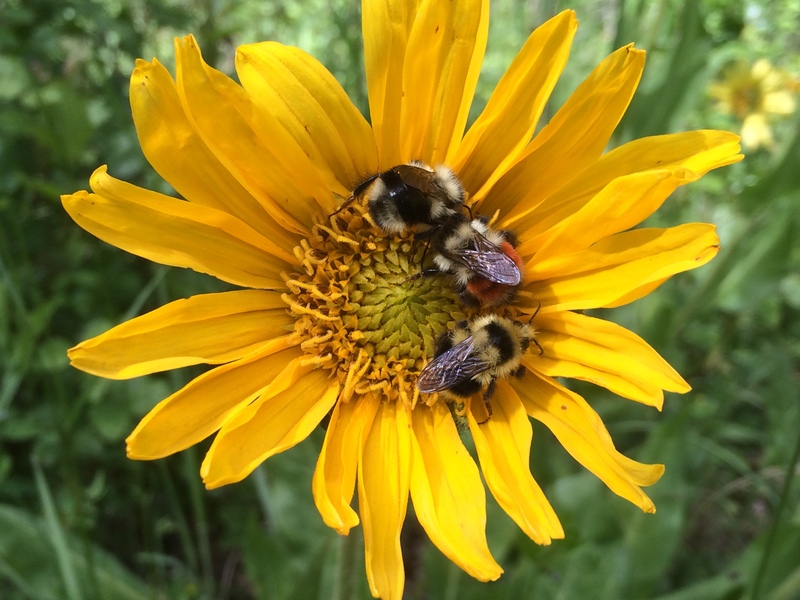 Numerous insects, including bees and butterflies, are attracted to plants in the sunflower family and planting native sunflowers will surely benefit native pollinators in your area. Have you stumbled across Calscape while doing botanical research online? A program of the California Native Plant Society, Calscape provides basic horticultural information for California native plants. You can search specific species through the site, or if you search a plant through Calflora (the online flora database for California), you can click on the Calscape link at the bottom of the page and it will take you to the Calscape information for that particular species. I will use examples of Calscape descriptions in this blog post to help familiarize you with this resource if you haven’t used it before. Although Calflora and Calscape are specific to California flora, they provide very useful information for native plants that have ranges extending into Oregon and beyond. Deltoid balsamroot is a spring blooming member of the sunflower family currently blooming in grasslands, rocky areas, among chaparral, and in sunny forested openings throughout the region. Deltoid balsamroot is deer resistant and drought tolerant. It needs good drainage and full sun to thrive. The seeds will need 60-90 days of cold stratification or winterization in order to germinate. Mule’s ears blooms after balsamroot. 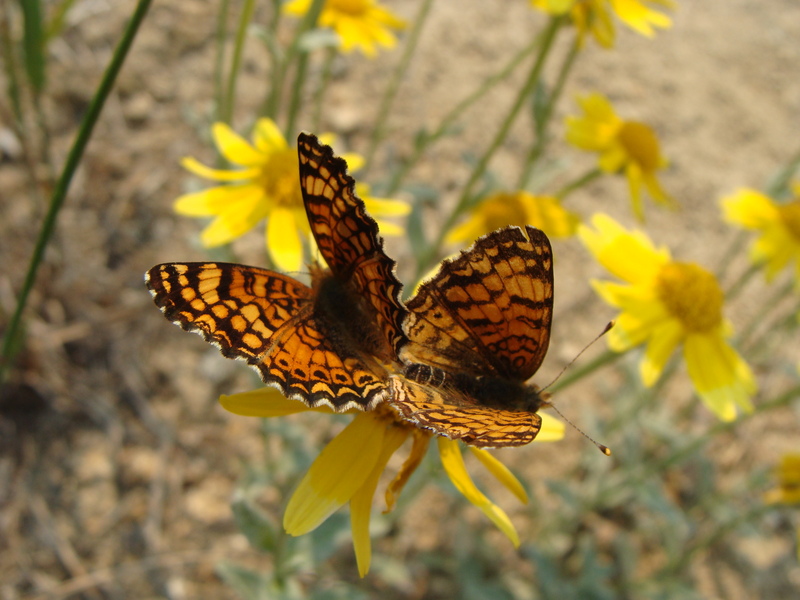 Another common name for narrow leaf mule’s ears is California compassplant. It tolerates a wide variety of soils as long as adequate drainage is provided. It is deer resistant and drought tolerant. The seeds will need 60-90 days of cold stratification or winterization in order to germinate. Bolander’s sunflower (Helianthus bolanderi) growing in a garden. Sunflowers in the Helianthus genus (Greek: Helios, “sun” and anthos, “flower”), are uncommon in the Klamath-Siskiyou, but many native Helianthus species are found throughout eastern Oregon and California. Bolander’s sunflower is found in California and southern Oregon. 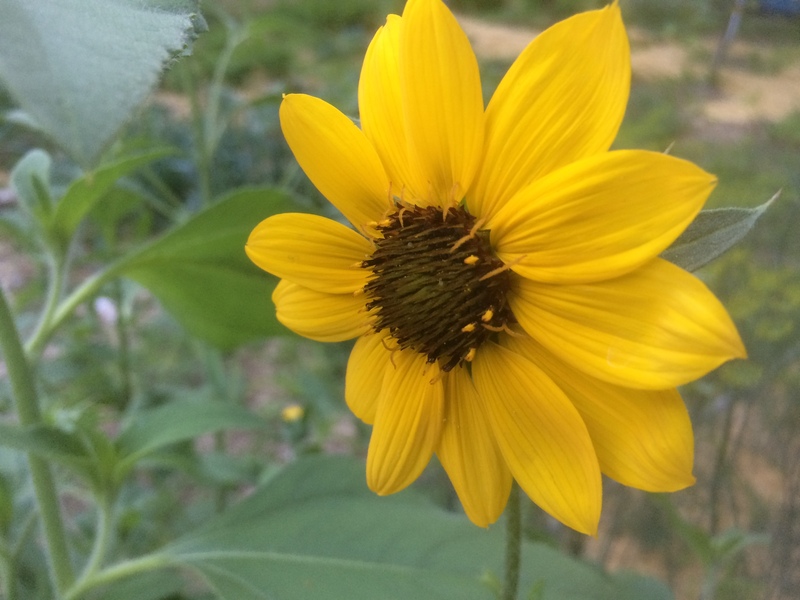 Growing Bolander’s sunflower is as easy as growing any other sunflower. The seeds do not need pretreatment. Plant in the late spring or early summer. The maximum height of Bolander’s sunflower under irrigated garden conditions can exceed 5 feet or more. Plant in a sunny location. Oregon sunshine is deer resistant and drought tolerant. It grows in a wide variety of soil types as long as adequate drainage is provided. It naturally grows in dry openings in many different habitat types, especially in foothills and mountainous areas. Seeds will require 30-60 days of cold stratification in order to germinate.